Shortly after 6 p.m., Padilla-Diaz lost control of his motorcycle while on northbound Highway 101, north of the Higuera Street on-ramp in San Luis Obispo. He was riding at a high speed and failed to negotiate a curve in the road, according to the CHP. The motorcycle drifted into the center median, striking a metal guardrail and ejecting Padilla-Diaz. 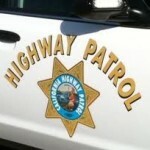 The San Luis Obispo man then collided with several wooden posts on the guardrail. Padilla-Diaz was pronounced dead at the scene. Investigators say Padilla-Diaz was wearing a helmet. It is unknown, though, whether he was under the influence of alcohol. A CHP investigation into the crash is ongoing. I wonder if someone might have forced him off the road. Did the wind blowing around the Higuera St. bridge push him off the highway? I can understand why he crashed if drugs and alcohol are involved. That is not a difficult turn and a rider would have to be traveling at very high speed if they couldn’t turn tight enough.